The Government intends to set up a regime for the regulation of chemicals that follows as closely as possible the existing EU regulatory regime (REACH). The Department for the Environment, Food and Rural Affairs has recently issued a draft Statutory Instrument giving effect to this new regime. For example if you import chemicals from the EU you may need to become the registrant for UK REACH. • Refer to the Additional Guidance for specific information on REACH, including actions for businesses using but not producing chemicals. The UK bespoke chemicals regime purports to be fully in line with REACH. However it does pose a number of problems that the chemicals and allied industries, through a grouping of which BRPPA is a member, has raised with the Government. They feel that these proposals are unworkable and unsustainable. The proposals rely on the unrealistic assumption that UK companies have ready access to testing data; they will almost certainly increase animal testing; and will impose an unsustainable additional regulatory cost on UK companies. 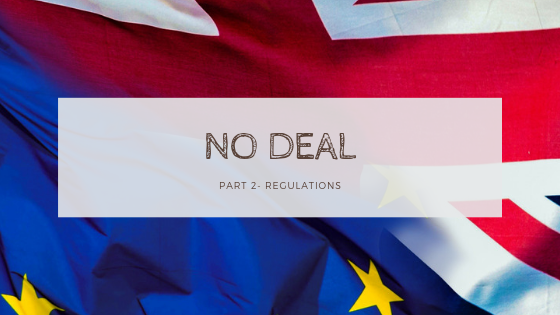 Above all, the proposals assume that a UK version of REACH can be achieved in just two years – a regime that took the EU and a fully-resourced European Chemicals Agency ten years to implement. BRPPA will continue to join industry efforts to secure substantial improvements, and if you have any issues of concern please let us know.